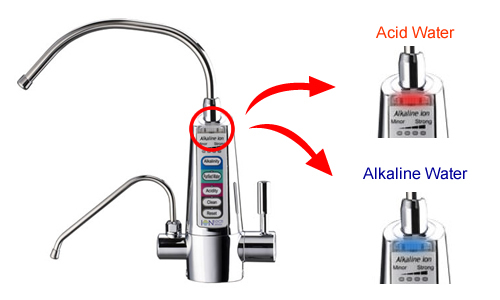 If you don’t want to alter or restrict your counter space, our IT-750 Under Sink Alkaline Water Ionizer could be the ideal option for you. Its compact unit size fits neatly under the sink and does not take up much room at all. Equipped with a 5-button control panel and indicator lights, the included sleek dual spout faucet features a sophisticated and elegant design that’s not only aesthetically pleasing, but convenient and useful as well. You can make all your selections right there on your faucet, without ever needing to bend down and reach below the sink to the unit itself, unless it’s time to replace the ACF-1 water filter (and the ionizer even alerts you exactly when a filter replacement is required). Everything is easy with this model, from a quick, hassle-free installation process that usually does not even require a call to the local plumber, and super simple machine operation (mostly right directly from the faucet button control panel), to a virtually non-existent cleaning and maintenance routine. Like almost all IonTech ionizers, the IT-750 features a variety of incredibly useful functions including but not limited to: a filter change alert and indicator light, an automatic 10-second electrolysis chamber cleaning process after each and every use, and a full, more thorough 2-minute cleaning process that even plays pleasant melodies for the duration of the cycle. All you need to do is listen for the music to stop, and you’ll know the machine has finished its self-cleaning. 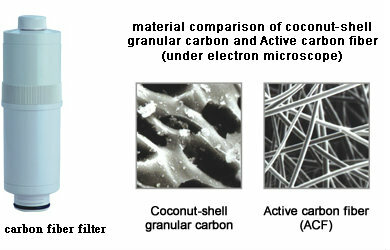 These features also help to extend the life of the filter, electrolysis chamber, and machine overall! Includes all parts necessary for installation such as hoses, clamps, wrench, tee connector, etc. All parts necessary for installation such as clamps, hoses, wrench, etc. Size (WxHxD): 16" x 12" x 10"
CE, SGS, ISO, NSF. Industry-leading USA manufacturing process complies with the highest drinking water standards.